Along with Larry Doby, Joseph “Shoeless Joe” Jefferson Jackson was one of South Carolina’s two most famous baseball players of all time. 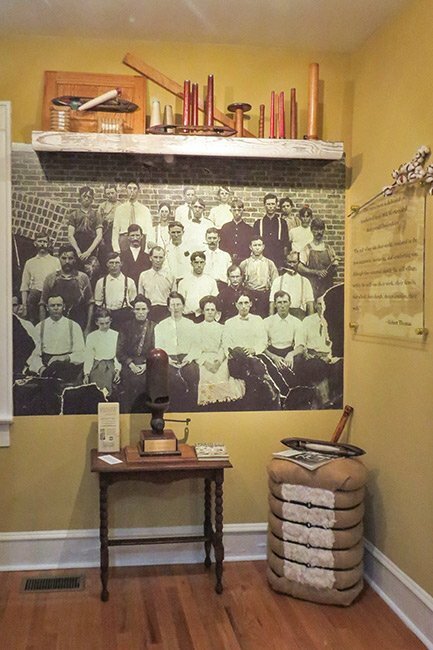 Born in 1888 in Pickens County, Jackson began working in local mills at age 6 and began playing for the Brandon Mill baseball team at age 13. The name “Shoeless Joe” came into play after he shed his new spikes during the second game of his first doubleheader in the semi-pros. 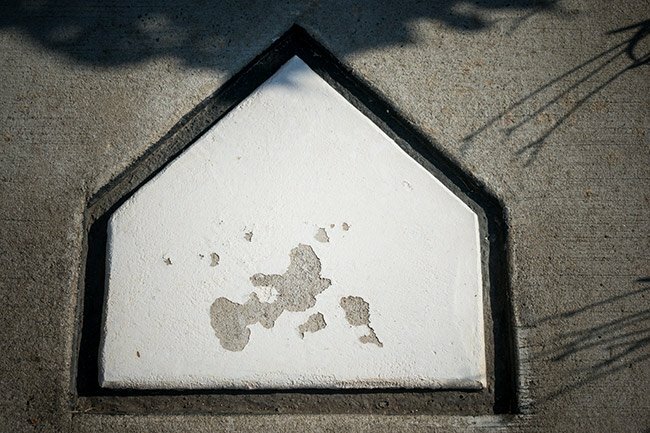 The cleats had given him blisters, and when the fledgling Greenville Spinners’ hitter scored a triple, his nickname was born. 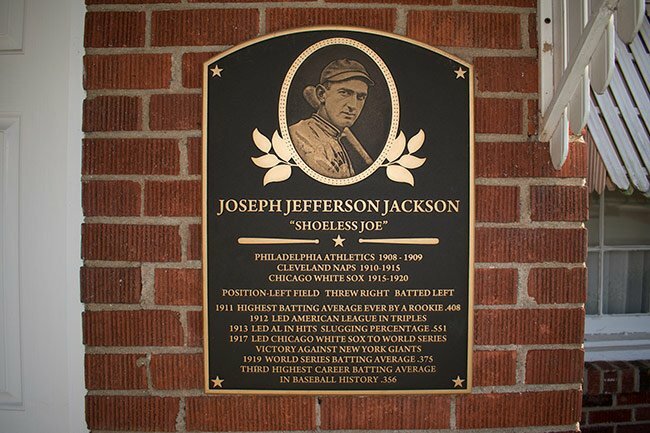 Sadly, Shoeless Joe is widely remembered for his association with the Black Sox Scandal in which players of the Chicago White Sox conspired to fix the 1919 World Series against the Cincinnati Reds. Even though Jackson was acquitted of any wrongdoing, he was banned forever from playing Major League Baseball. Today, decades after his death, he is still ineligible to be inducted into the National Baseball Hall of Fame. It is important to note that no evidence exists to incriminate Joe and in fact, much evidence exists to absolve him, including his record during the series. In those games, Jackson made a record 12 hits with a batting average of .375. He also committed no errors and threw a runner out at the plate. Further, all seven other members of the scandal later confessed Jackson’s innocence, and in 1999, upon review of court records and contemporary news accounts, the US House of Representatives voted to ask the MLB to reverse their verdict. Over a decade later, the MLB has yet to heed this request. 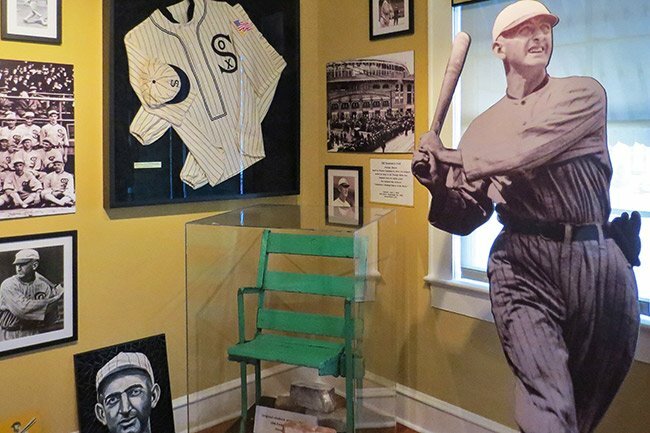 Now used as a museum to remember Greenville’s beloved baseball son, Jackson’s house was dismantled and moved three miles from its original location of 119 East Wilburn Avenue to the historic West End of Greenville behind the new Fluor Baseball Field. 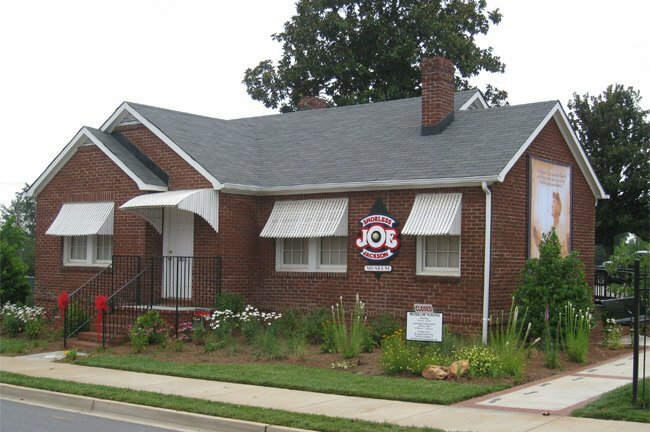 The address is 356 Field Street – a nod to Shoeless Joe’s lifetime batting average of .356, which stands as the third highest in baseball’s history. 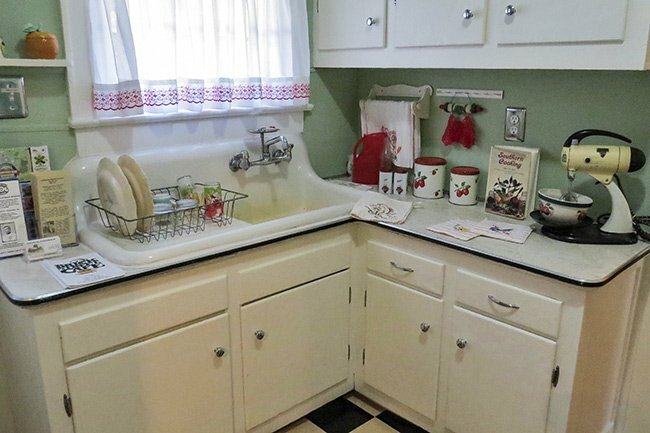 As of 2019, the museum will be relocated nearby as the site it currently sits upon has been sold for further development. No they did not, great question! 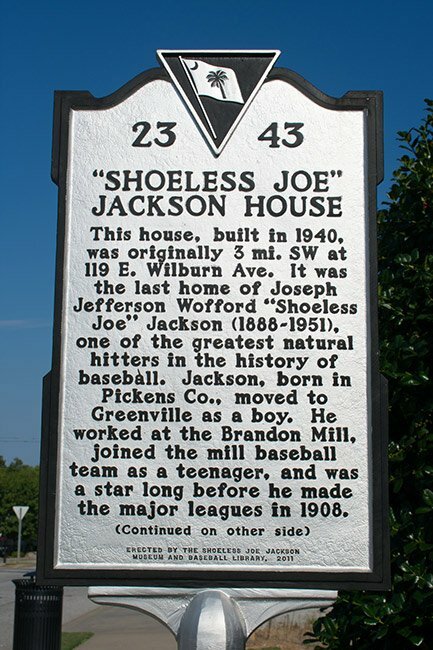 Did Shoeless Joe Jackson and his wife ever have any children?